Contact Us - Boston Speech Language Therapy in Brookline, MA 02445. □ Click here for questions about beginning at S&L Therapy? By public transportation, S&L Therapy is a short walk from the Brookline Village T stop (Green Line) or accessible by MTBA #66 Bus. 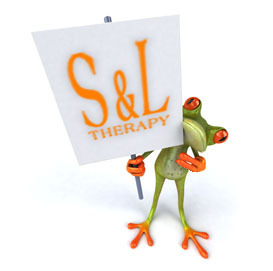 By car, S&L Therapy is located on Harvard Street at the corner of Aspinwall Street and Harvard Street. You can access the office via Route 9 and Storrow Drive. For more detailed directions, please see the interactive map below or click here to view a larger map. Centrally located at the corner of Route 9 and Route 85. Minutes to Route 495 and Massachusetts Turnpike exits #11 and #12. One mile from Southborough Commuter Rail Station, and adjacent to the Southborough U.S. Post Office. Close to White’s Crossing and Town Center retail centers. S&L Therapy Braintree is located on Wood Road, just off of Exit 6 on Interstate 93. Approximately 1 mile from the South Shore Plaza, and just before X1 Boston (F1 Boston).